And so they did. As it turned out, they were just as smitten with Red Lodge as was their son. “It’s an easy, eclectic community,” says Tammy. Moreover, both she and Mike grew up in small towns in Alabama. Perhaps because of this, Tammy muses, Red Lodge felt a little bit like home. Today it is indeed the Gorums’ home. Or at least, it’s their home away from home. 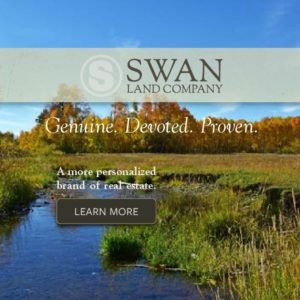 In 2010, the couple bought a 15-acre lot nestled against the eastern toe of the Beartooth Mountains, just a five-minute drive from downtown Red Lodge and ten minutes from Red Lodge Mountain. 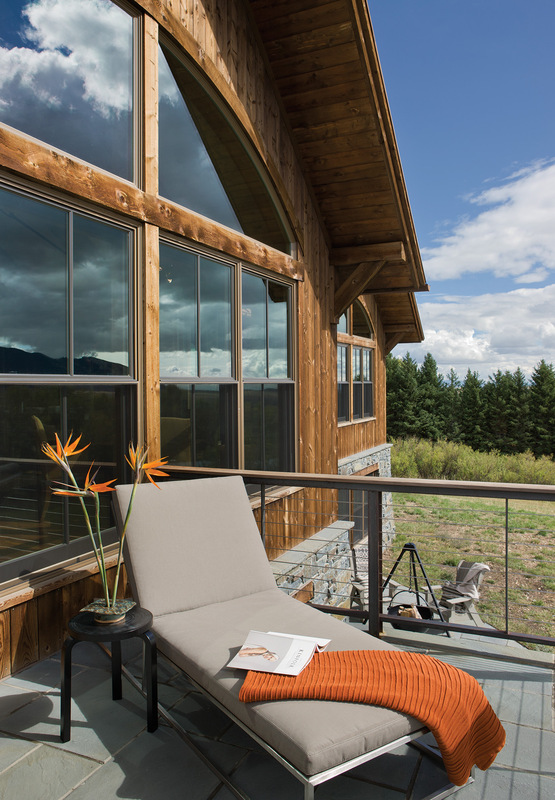 With help from a dream team of Red Lodge-based designers and builders — Andrew Porth of Porth Architects, Rosina Kastelitz and Carole Haines from the interior design firm Kibler & Kirch, and Dan Kyro of Timberline Builders Inc. — they created their Montana getaway. This became architect Andrew Porth’s challenge: to design a structure that is rugged and rustic — one that fits the landscape and culture surrounding it — but is also elegant and up-to-date. “While the home should say, ‘Montana,’ we also wanted it to be light, bright, crisp,” says Porth. Designer Rosina Kastelitz adds, “We strove for simple, clean lines. A fresh take on the Montana lodge.” It seems Porth, Kastelitz and the rest of the team achieved that balance perfectly. Outside, a timber-framed covered porch leads to a deck that seems to almost hover above the grassy hillside. Walk inside and the balance continues. An open floor plan connects areas for cooking, eating and relaxing, all before expansive double-hung windows, which, on the home’s south side, are topped with soaring arched windows that allow for generous amounts of natural light to spill in and treat the landscape and the big, Montana sky as a vivid, living painting. 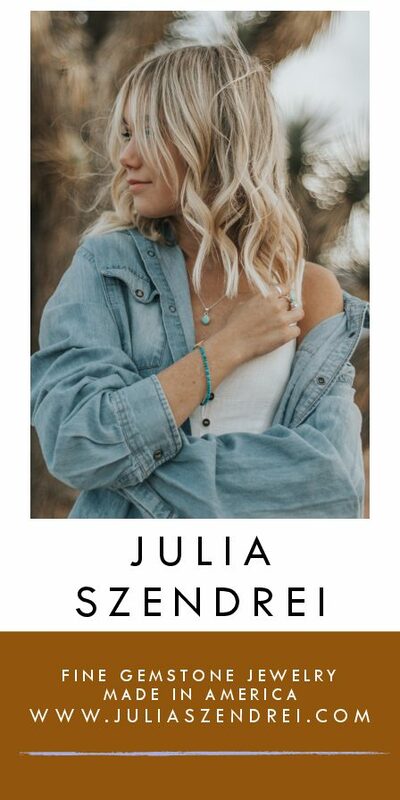 Because the Gorums are a family with the son who led them to Red Lodge and a daughter, who also loves Montana, as well as other relatives and friends who like to visit their mountain home, they wanted a house that would accommodate people without feeling crowded or cluttered. To this end, Porth designed a separate kitchen nook where guests could prepare their own coffee and find drinks and other refreshments. “We like to keep the guests out of the kitchen,” Mike says, laughing. On the main floor, a spacious guest room and bath allow visitors a lovely space to retreat. Downstairs in the daylit basement, there are large bedrooms and bathrooms for each of the children on either side of a great room. 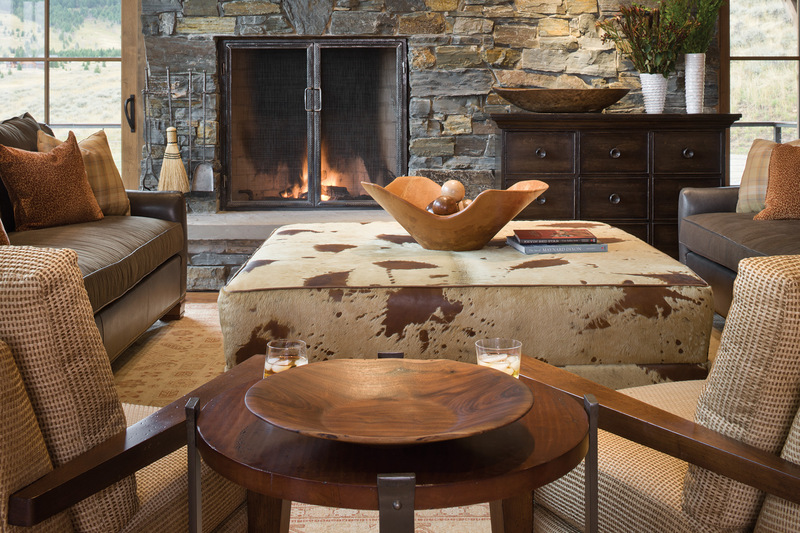 Dubbed the “Football Room” by the couple, it features another fireplace and a wet bar. “In a perfect world,” says Porth, paraphrasing Christopher Alexander, the architect and co-author of the groundbreaking book on architecture and urban design, A Pattern Language, “we sleep facing east so that we can wake with the sun and the light.” Indeed, the master suite and upstairs guest room are oriented to the east, offering views of the sunrise over the Pryor Mountains on the horizon. In the master suite, the arched, ceiling-high windows to the south offer the best view of the stars Mike Gorum says he has ever seen. When dreaming up their Montana escape, the Gorums expressed a desire to incorporate the work of regional artists and artisans into the home’s design. Porth, Kastelitz and Haines helped the couple source these elements and the results are stunning: Custom cabinet and furniture-maker Nick Kosorok of Red Lodge created the mantle over the fireplace. Bill Moore of Bar Mill Iron Forge in Big Timber forged the fireplace screen and tools, which are beautiful, but also sturdy and functional. An enormous oil painting by Billings artist Kira Fercho graces the wall above the stairwell and beyond it is a painting by Kevin Red Star of Roberts. The stairway’s railing is a work of art in itself. Designed by blacksmith Ira Cuehlo of Livingston, it is made with reclaimed chairlift cables, which offer not only structure, but also numerous design notes, including posts that suggest sheaves of wheat. 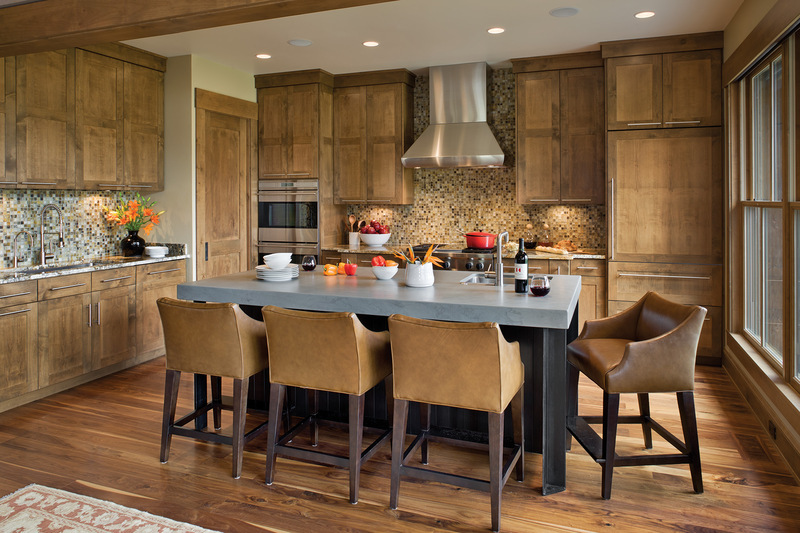 Wilson Cabinetry in Billings produced the cabinets installed throughout the home. 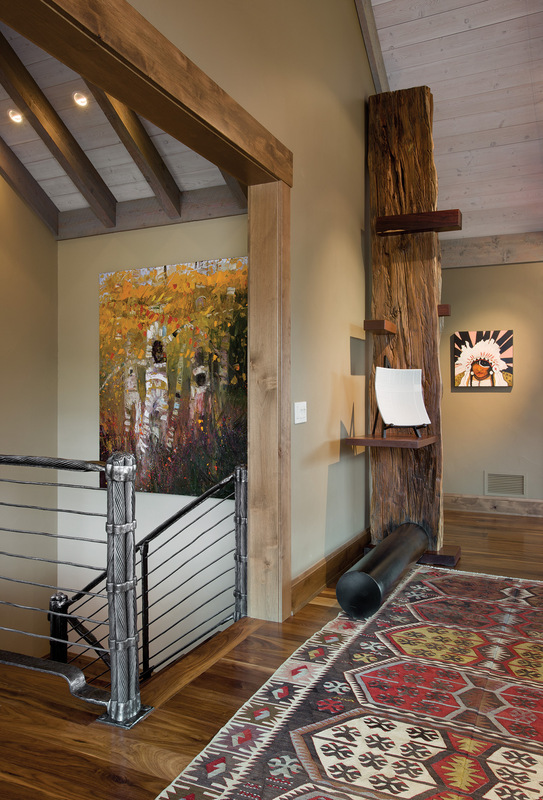 Troy Evans of Blockhorse Designs in Roundup created the wood sculpture that is a centerpiece in the upstairs great room. Like the various design elements and approaches that come together to make the Gorums’ home a success, the builders and contractors that worked together to create it did so seamlessly, says Tammy. “Building a house in Red Lodge only enhanced our love for the community,” she says. “Everyone was so gracious, so professional. The result is a fitting testament to the place the Gorums now call home-away-from-home. 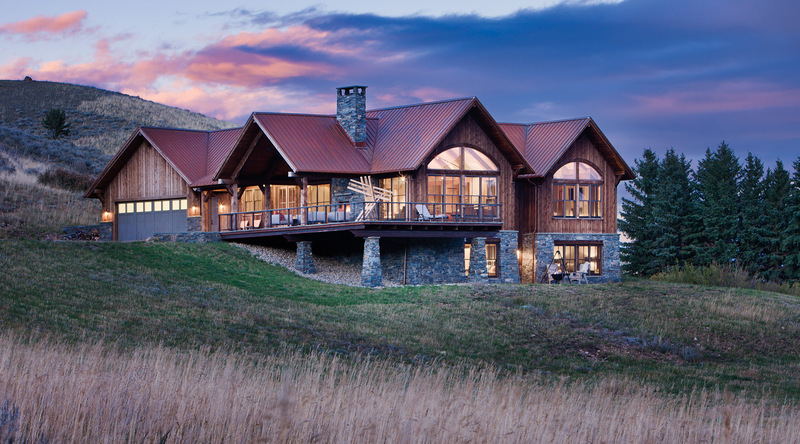 Designed by architect Andrew Porth and built by Timberline Builders, the home was inspired by the land and traditions that surround it. With its mantle handcrafted by Red Lodge cabinetmaker, Nick Kosorok, the fireplace often draws the Gorums and their guests to relax in the home’s great room. When the weather’s cool, she says the same is true of the master bedroom, which is as conducive to relaxing with a glass of wine and a good book as it is to sweet dreams. 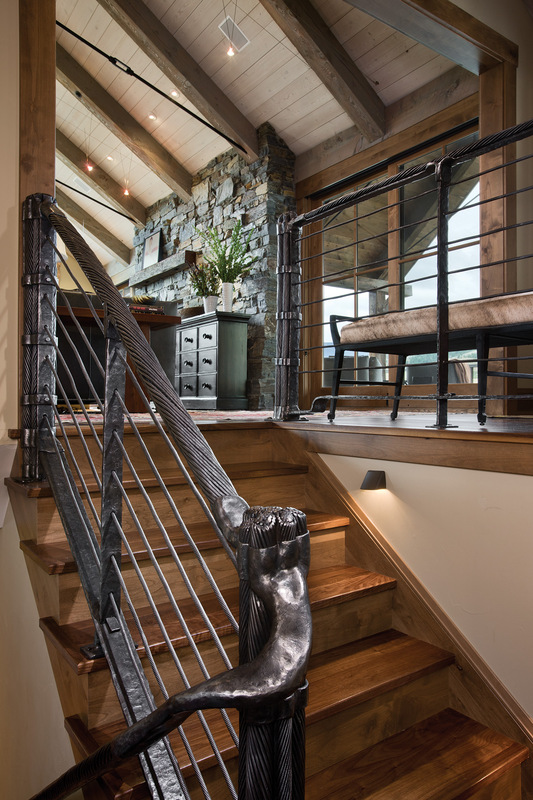 Designed by blacksmith Ira Cuehlo, the stairway is made with reclaimed chairlift cables. With its floor-to-ceiling double-hung windows, the spacious kitchen offers generous views to the south and west and a place to both cook and gather. 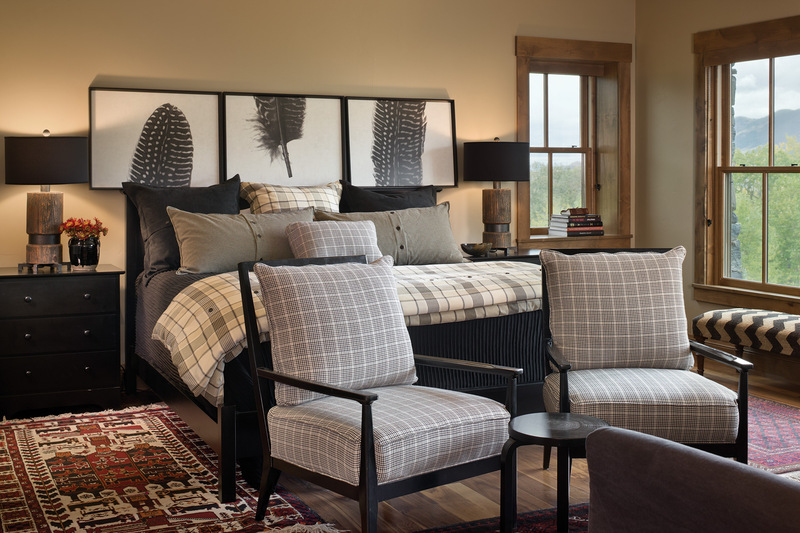 The Gorums point to the guest room as an excellent example of the balance accomplished by the designers from Kibler & Kirch who were charged with the task of blending traditional with conventional design elements to create functional, beautiful spaces. On warm, sunny days, Tammy Gorum finds it difficult to leave the deck. The Gorums’ wish to build a gathering place for family and friends came true with cozy spaces like this designed by Kibler & Kirch. Work by Billings artist Kira Fercho graces the wall above the stairwell. Beyond it, are a sculpture by Troy Evans of Blockhorse Designs in Roundup and a painting by Kevin Red Star of Roberts. 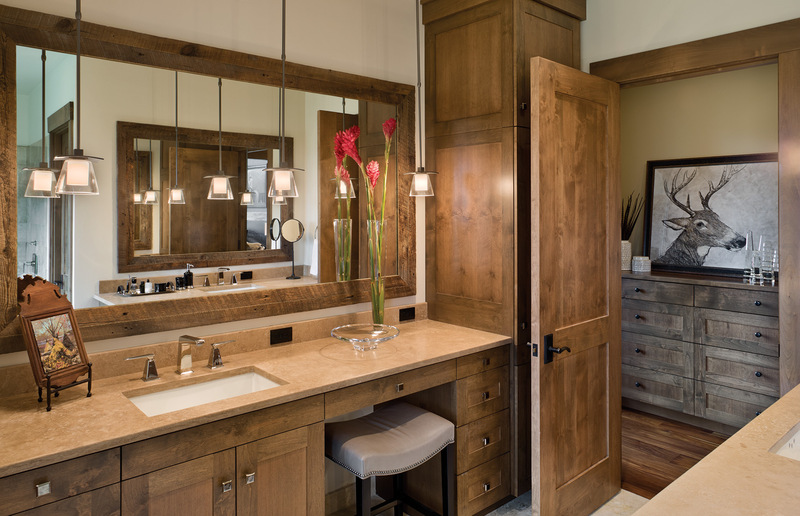 In each bathroom and indeed throughout the home, cabinets handcrafted by Wilson Cabinetry in Billings offer ample space for home organization and storage.